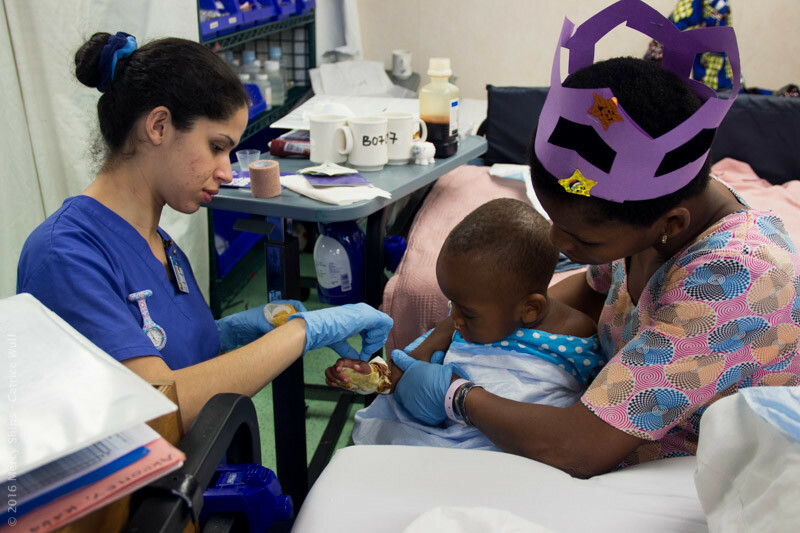 Have you ever wondered what it’s like to volunteer as a Mercy Ships nurse? Thank you to Ivanna Figueroa for shining a light on the important work she’s been doing in Africa over the past three years. What motivated you to pursue this job? Ever since I was a high school student, I was attracted to working overseas to alleviate some of the pressing needs created by poverty. Once I decided to pursue a career as a registered nurse, I knew this would be a skill I could utilize anywhere. I dreamed about being a nurse overseas and helping care for and educate those with limited access to health care. 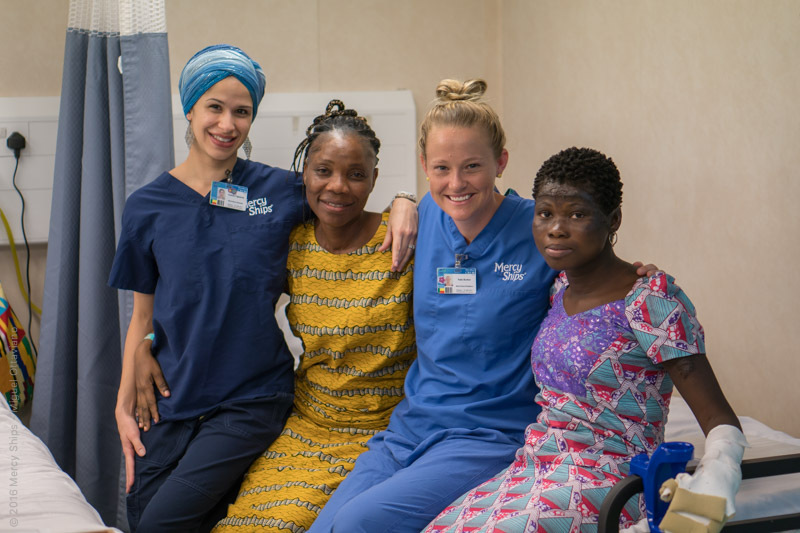 At some point during my undergraduate study, I was introduced to Mercy Ships, which accepts more than 200 nurses a year to work on board a hospital ship in the surgical wards. What are the perks of this job? In terms of travel, I’ve gotten to visit countries I never would have dreamed of visiting. The ship docks semi-permanently in one West African nation for approximately 10 months. Since the hospital is housed within the ship, I’m able to care for patients after surgery in a medical environment comparable to what I’m used to in the U.S. However, I’m also free to step foot on land as often as I want and explore the local culture. The ship employs hundreds of locals to help us translate and communicate with the patients, so I get to work alongside them and develop friendships. They’re always thrilled to show off parts of the country I wouldn’t have access to otherwise. This environment is unique because most of the ship’s volunteers live AND work on board. There are very blurry lines between your work life and your personal life. There is also very limited private space. Anyone coming on board for the first time will say it’s a huge ship, but after a week they’ll realize they cannot hide from anyone. Another major challenge is the barrier between me and my patients caused by a different language and culture. Since the entire ship operates in English, you have to make a concerted effort to learn French if you want to communicate without a translator. The ship also has a high turnover. Since everyone on board serves as a volunteer working off of donations, not everyone can stay for very long. The staff is constantly changing. That is hard emotionally as well as professionally. Do you have any advice for others considering this job? The specific route I’ve taken is not for everyone. 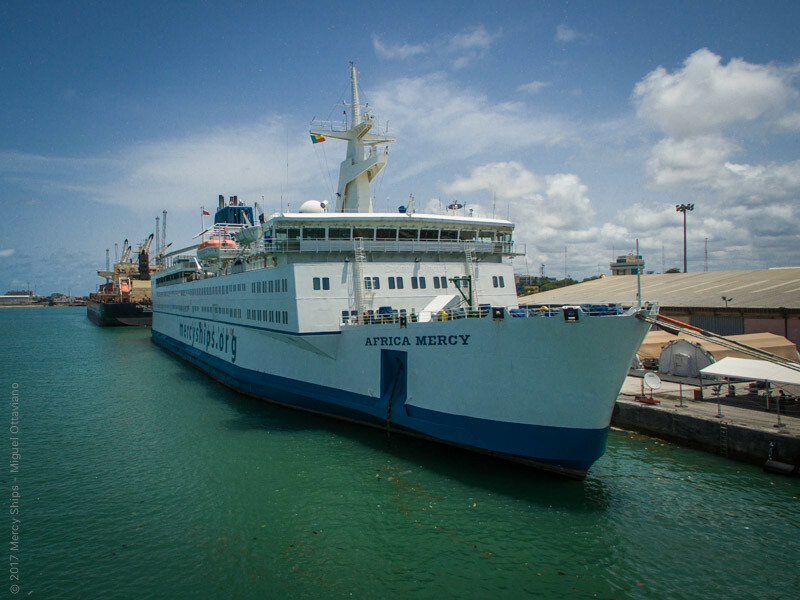 I am technically employed by Mercy Ships, however my “salary” still consists of donations I receive. It’s not a traditional job, but I always encourage anyone interested to just try it. Also, lots of volunteers come for a short time, so that is always a possibility. For those who have this ache in their heart to make a difference to the forgotten poor in developing nations, this would be a highly fulfilling vocation. The populations we serve have medical conditions unheard of in the developing world. You’ll be involved in providing free health care to individuals who would never be able to afford or access care otherwise and I highly recommend this path. What’s one lesson that you’ve learned in all of your work-related travels? I’ve learned so much, most of it is very humbling. There are so many alternative methods, treatments and perspectives, especially within the healthcare field, that seem wrong at first. However, when you look deeper, you realize it’s not wrong, it’s just different. The field of nursing in the U.S. is steeped in rules, policies, and specific ways of doing things. Those ways get ingrained in our minds, but they actually accomplish the opposite effect when utilized in other cultural contexts. I also learned that many healthcare professionals in developing countries are well-educated but poorly equipped. You can learn perfect theory and technique in school, but if the only medical facilities around are understaffed with no working equipment or available supplies, you will be forced to make hard choices you never wanted to make. Anyone interested can check out Mercy Ships! This ship needs everything from nurses to cooks, doctors to hair stylists, and physical therapists to teachers. There’s a job for everyone! 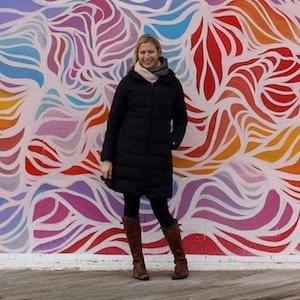 You don’t have to be a nurse for this to be a great way to travel the world. Ivanna and her husband, Ruben, wrapped up their service in June 2017. Thanks for reading, Sheila, and thanks for your service!